Welcome to the Jewish Book Festival! With more than a month of meeting great authors, the annual Jewish Book Festival in the San Gabriel and Pomona Valleys features a series of events, music, food, and entertainment for everyone! Every fall the Jewish community comes together to meet prominent historians, entertainers, chefs, novelists, children’s authors, sportswriters, adventurers, scientists, and more at venues all over the San Gabriel and Pomona Valleys. 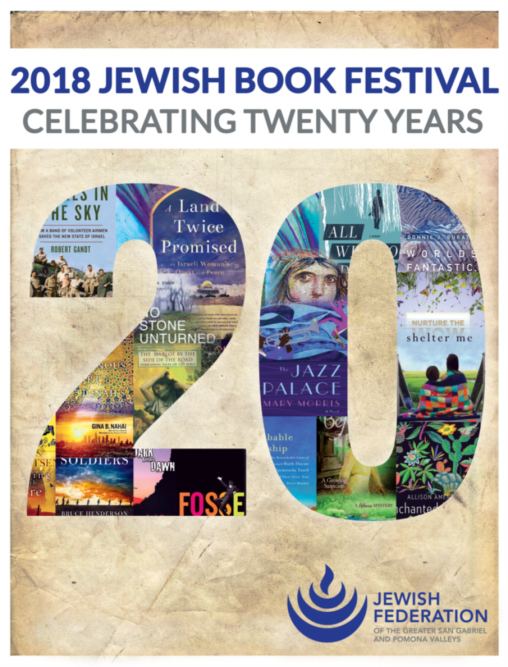 Since the Jewish Book Festival was founded in the San Gabriel and Pomona Valleys in 1999, hundreds of our local community members have read thousands of books about Jewish themes and/or written by Jewish authors. Explore upcoming local Jewish events, adult learning, and Jewish Book Festival programs, and stay connected to our diverse community. Explore opportunities for arts and entertainment, education, and meaningful discussion with friends. Join us in ensuring the continuance and the success of the Jewish Book Festival in the San Gabriel and Pomona Valleys. The Jewish Book Festival brings people together from all corners of our community and volunteers are always needed!